While there is much discussion regarding the fidelity of the transmission of the NT text, very little attention is given to the OT. I’ve long been looking for a good book dedicated to OT textual criticism, written from the perspective of a conservative text critic, so I was happy to come across John F. Brug’s Textual Criticism of the Old Testament. Brug does a great job of explaining the manuscript resources, how text critics go about establishing the original text, ancient and modern criticism of the text, and many examples of the variants with a fair assessment of which are original. What I was particularly interested in is his explanation of the differences between the Greek translation and the Hebrew, as well as the differences in names and numbers in parallel passages such as Kings and Chronicles. The book is under 200 pages, so it’s very digestible. I would highly recommend this as an intermediate introduction to OT textual criticism. This past week has brought to the public’s attention the discovery of two important manuscripts: one of Leviticus and one of the Qur’an. The Leviticus manuscript was actually discovered in 1970 in a Torah ark from a Byzantine-era synagogue excavated at Ein Gedi in Israel. It was burnt by a fire, however, and could not be deciphered until now. 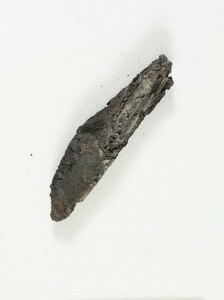 The scroll was found to contain Leviticus 1:1-8. It is dated no later than the 6th century A.D. (when the synagogue and village were burned). Two pages of the Qur’an (portions of Surahs 18-20) were discovered inside the codex of another late 7th century Qur’anic manuscript at Birmingham University. Radiocarbon dating of the manuscript has revealed an age of A.D 568A- 645. Muhammad lived from A.D. 570 – 632, making it a live possibility that the manuscript fragment was composed while Muhammad was still alive. What is the oldest NT manuscript? That’s an easy answer: p52 (a fragment of John 18). Perhaps not. P52 is typically dated to A.D. 125-175. 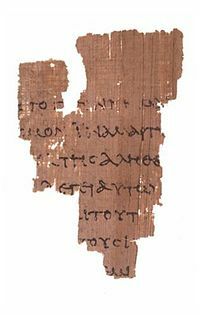 There is a fragment of Matthew 21, p104, that is dated to A.D. 100-200. The mean age of both manuscripts is A.D. 150, but if p104 is as early as its terminus a quo, then p104 may be the earliest NT manuscript. Of course, there is still the possibility that we have a fragment of Mark’s gospel dated to before A.D. 90. The court is still out on this one since the research on this fragment has yet to be published. 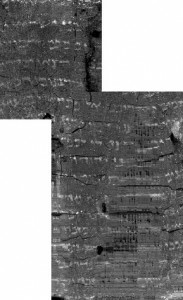 If it turns out to be a valid date, it would be the first NT fragment from the first century to be discovered – an exciting prospect indeed! Christian apologists have long pointed out that when it comes to textual reliability, the NT is in a league of its own compared to all other ancient texts. According to NT manuscript expert Daniel Wallace, there are 1000x more copies of the NT than the average ancient Greek text. If we stacked the NT manuscripts on top of each other, they would reach more than a mile high. Not only are there more manuscripts for the NT than any other ancient text, but the gap between the original text and our first copies is smaller for the NT than other ancient texts. There are 3x as many NT manuscripts within 200 years of the original text than the average Greco-Roman text has in 2000 years. Unfortunately, many of the statistics appearing in apologetics literature are outdated. Additional manuscripts of both the NT and other ancient texts continue to be discovered. Clay Jones wrote an article for the Christian Research Institute in 2012 providing the latest stats. The article was recently posted on the CRI website. Check it out and see how the NT compares to other ancient Greek texts. The total number of catalogued Greek New Testament manuscripts now stands at 128 papyri, 322 majuscules, 2926 minuscules, and 2462 lectionaries, bringing the grand total to 5838 manuscripts. CSNTM has also “discovered” two more minuscule manuscripts in the summer of 2013 on our European expeditions which will most likely receive their Gregory-Aland numbers in due time. Daniel Wallace is a prominent evangelical NT textual critic. He has written about the field in various places, but never in much detail, and never in a book dedicated to the topic. So I was very excited when I heard he was editing a collection of essays on the topic. 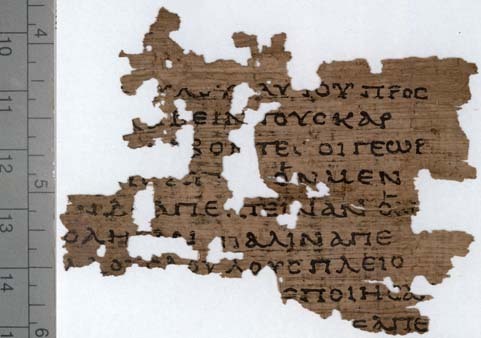 Daniel Wallace revealed some additional details regarding some early NT papyri manuscripts in a video interview with Michael Licona, one of which is the highly touted first century fragment of Mark. I can’t wait to find out more about the collection in 2013!